I wish these were actually for sale. I'd love to buy them as housewarming gifts. 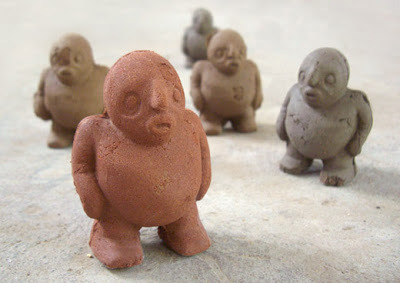 An old Jewish folklore legend, tells about a creature made of mud called a Golem. The creature became animated by religious words to serve as a protector of its community, but it was considered dangerous to make it due to the imperfections of the material. 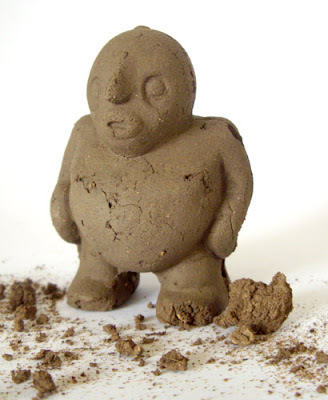 Our Golems are made entirely out of different soils from our surrounding. They are as recyclable as it can get as an answer to the increased production of plastic toys. After their production, these imperfect creations are planted in our favorite places, to protect the ones we love. Golems! Thanks for a brief legend information about golems. The golems look very interesting.